A loud voice in my head keeps saying “this is a man’s world, you have to adjust to it if you want to succeed”. This is not the fictitious voice of Yoda or Dumbledore in my head, but the very real words of numerous people whom I have interacted with and attempted to discuss gender inequality in the workplace. The scary part – some of these people work in the social development sector and are tasked with eliminating biases such as gender inequality. While these words make me uncomfortable, I wonder how many of us have been forced to internalize this. How many of us think it is okay not to aspire to have leading positions in our work place? How many of us think it is okay to settle for a lower salary? How many of us think it is okay to accept sexually inappropriate comments as a joke? How many of us think it is okay to be interrupted again and again by a male co-worker to explain the exact same thing in the exact same words that you are saying? How many of us think it is okay to feel uncomfortable to ask for a nursing room or a trip to a bathroom? How many of us think it is okay to be explained a technical issue in a simpler way even when you are perfectly capable and qualified, only because you are perceived to be unskilled? When I was invited to write this blog, none of these instances immediately came to mind. I kept trying to think of one example while working in India or the U.S where I had overtly faced gender inequality, and I could think of nothing. Concerned and perplexed by this, I even called my friends to ask if they remembered any such incident. While talking to them, I started recalling certain situations that had made me feel angry and inferior, for example, I was once in a three-person research team, where two of my fellow colleagues were male and I was the only female. During all discussions pertaining to the statistical methodologies to be used in the project, I was either ignored or the procedures were explained to me in a ‘simplistic’ manner for lack of better words (I forgot to mention, I am a quantitative researcher with a Ph.D. thesis containing advanced statistical analyses). Would this count as gender inequality? Another example that came to mind was when I visited a professor to get guidance over the academic job market and the first thing that he told me was ‘Oh don’t worry you will not have a problem to get a job because you are pleasant looking’. I kept thinking what do my looks have to do with research? What is the possible correlation? With each new example that I discussed with my friend, it became clearer to me that perhaps none of these instances came to mind because I have become socialized to accept the lay of the land. We are all social beings, and thus products of our society. As women and men, we have been tuned to think and behave in a certain manner, and this behavior is constantly reinforced by our ecological system – our family, friends, colleagues, media, politics, etc. We are thus the victims and perpetuators of this cycle. From the very beginning girls around the world, are shaped to be stereotypically homely, nurturing, submissive, cautiously ambitious, and most importantly, accepting and catering to the needs of the higher being, that is, the man. On the other hand, men are pushed to be ‘masculine’, which is characterized by physical strength, power, leadership and ego. While this may sound like we are back in the 15th century…unfortunately it is still deeply engrained in our society. It is no surprise that these behaviors are carried into adulthood and into the workplace. This is why, even in the 21st century we are still fighting against unequal pay, sexual harassment, social invisibility, lack of leadership roles, and a lack of respect for equal contributions to society. When policies for workplace equality are developed, one of the first things that we need to pay attention to is the language used. Time and again we resort to thinking of gender equality as a privilege. Definition check, equality means to be treated equally, it does not mean luxury or preference. All policies should be framed in a way that highlight the importance of equal treatment rather than preferential treatment. For example, equal pay is not a luxury given to women, but a much-deserved right to be treated equally to their counterparts. Secondly, we need to stop looking at gender inequality as a fight between men and women, but more so as a right that we all deserve. When we stop looking at it as a me against you, and a struggle to maintain status quo…I think that’s when we will make any progress. Outside of the workplace, I believe the solution lies in working towards changing the mindset of people, and deconstructing these deeply embedded ideas that are constantly reinforced by various structures in our society. As parents, friends, spouses, colleagues, teachers, and acquaintances; we have to take on the responsibility to respect and recognize that the world is made out of both men and women – while inherently different, neither is inferior. We have to unlearn the biases, so that the constant loud voice in our heads keep saying “this is our world, we have to work together not against each other if we want to succeed as a society”. 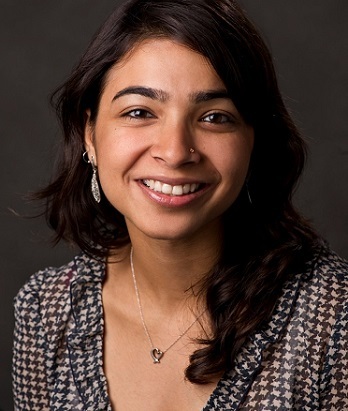 Aakanksha has a Ph.D. in Social Work. She is an Assistant Professor at Seattle University and a consultant for Design Impact. Her primary areas of research include positive deviance, food security, poverty & inequality, and community asset building.